Chinese authorities have stopped the production of hundreds of car models which do not meet the government's stricter fuel consumption standards. German vehicle producers said there was no reason to panic. China confirmed it prohibited the production of 553 passenger vehicle models which had failed to comply with the government's fuel consumption standards. Citing the China Vehicle Technology Service Center, state news agency Xinhua said the suspension took effect on January 1, 2018. 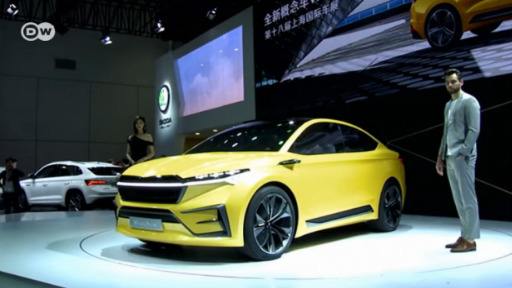 The report said the models in question included cars from several major domestic producers and joint ventures such as FAW-Volkswagen and Beijing Benz Automotive plus Chery and Dongfeng Motor Corporation. Volkswagen and Daimler spokesmen told the DPA news agency Tuesday the VW and Benz models listed by Beijing were no longer produced anyway, adding that "all currently produced cars meet China's fuel consumption standards." German expert Ferdinand Dudenhöffer from the Center of Automotive Research at Duisburg-Essen University agreed, but expected some trouble for German producers with China putting into effect an e-car production quota in 2019 and German manufacturers possibly experiencing a battery bottleneck. "With the war on pollution in full swing, China has been pushing for green transportation by toughening emission limits and encouraging the use of new-energy vehicles," the Xinhua reported. China plans to extend a tax rebate on purchases of new-energy cars until the end of 2020. The measure is a boost for hybrid and electric car producers amid a shift away from traditional internal combustion engines.